Join us Wednesday, June 4th, 14:00 GMT (10:00 – 11:00 EDT) for a free webinar, Making YouTrack Follow Your Process with Dmitri Nesteruk. Every company and every business has its own operational rules, and this affects everything including issue tracking. The way issues are assigned, analyzed and triage is unique, which is why the flexibility of an issue tracker is essential in bringing value to each part of the organization. Space is limited, please register now. Dmitri Nesteruk is a developer, speaker, podcaster and a technical evangelist for JetBrains. 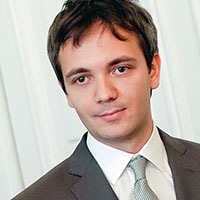 His interests lie in software development and integration practices in the areas of computation, quantitative finance and algorithmic trading. His technological interests include C#, F# and C++ programming as well high-performance computing using technologies such as CUDA. Dmitiri has been a C# MVP since 2009. This entry was posted in webinar and tagged custom fields, Workflow, workflow editor. Bookmark the permalink.